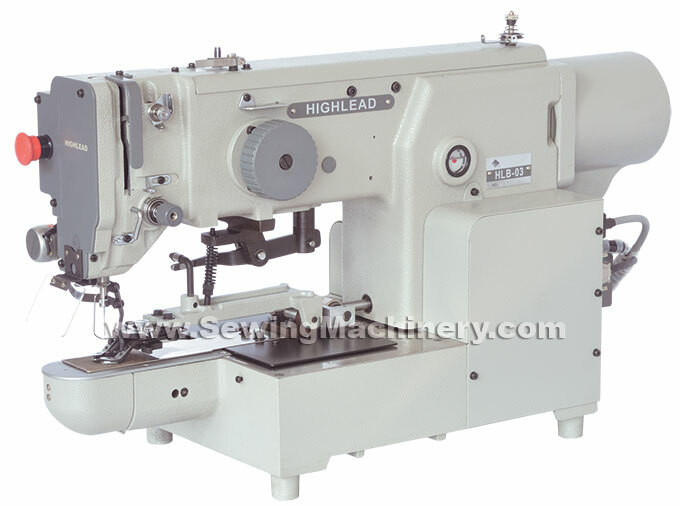 Highlead HLB-03 electronic lockstitch button sewing machine for stitching 2 and 4 hole buttons. 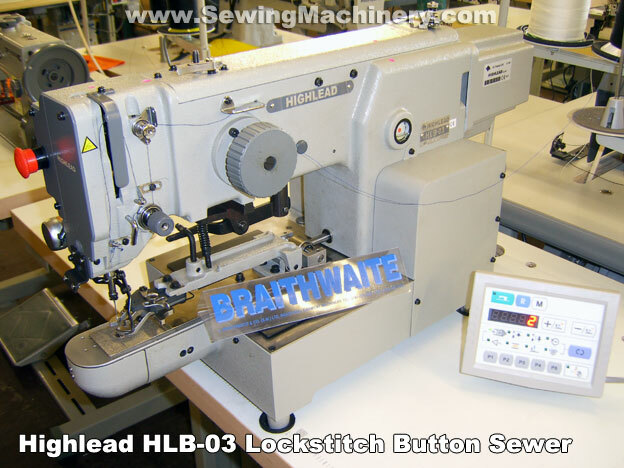 High speed single needle lockstitch button sewing up-to 2500 stitches per minute. The maximum sewing speed is user controllable, from 200 to 2500spm. This latest Highlead button sewer features an inbuilt direct drive motor system which offers improvements (when compared to a conventional motor) including: quick start and stop, accurate positioning, low noise, little vibration, smooth acceleration and greater responsiveness for the operator. Highlead Direct Drive eliminates the need for a motor drive belt; offering improved safety with no exposed belts or additional belt guards etc. Energy saving features come as standard, the servo motor only runs when you are actually stitching, saving up to 40% power usage over a conventional button sewer motor. The machine is pre-programmed with 30+ button stitch patterns suitable for many operations when attaching 2 or 4 hole flat buttons. Custom patterns can also be added by using optional devices or dealership services. Simple to use with the operator loading the button and pressing the single start pedal, after which, the machine automatically lowers the button into place, clamps the garment in place, lockstitch sews your chosen pattern, cuts the thread at the end of sewing cycle and lifts the clamp ready to release the button and garment. The included table top operator control panel allows easy selection of patterns and basic adjustments including pattern enlargement/reduction for different distances between the holes within a button. Power: 230V 50Hz UK single phase.